Select from an array of fun and engaging tours and programs customized for a variety of ages, curriculum standards and special interests. These tours and programs are for groups of 15 or more. Student tours and programs are correlated to Virginia Standards of Learning, National Standards for History, National Curriculum Standards for Social Studies and Common Core. STEM objectives are incorporated into a number of programs. See detailed program descriptions for more information. Groups of 15 or more require advance reservations. Guided tour reservations required at least three business days in advance and are subject to availability. We recommend making tour reservations at least two months in advance for fall and winter trips, and up to four months in advance for trips in the spring. 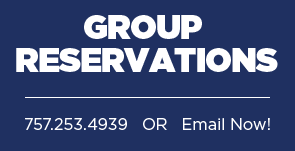 Reservations are also requested for self-guided groups.